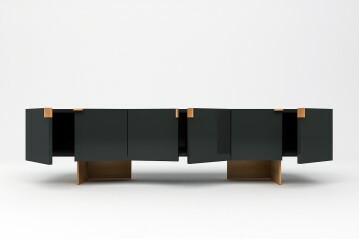 Fine selection of design furniture: one-of-a-kind cabinets, sideboards and TV stands that will make your living area unique and will lead you in a cozy atmosphere. 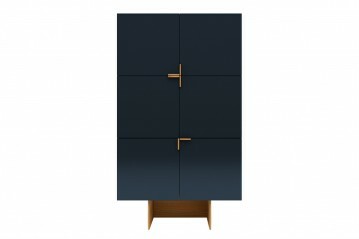 Tall cabinet in matte lacquered wood with oak details. 6 doors. 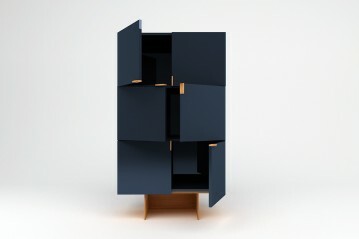 Elegant and versatile design. Available in four colors: black, blue, grey and white. 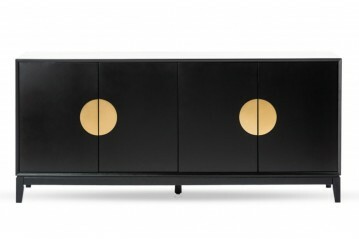 TV Cabinet in matte lacquered wood with oak details. 6 doors. 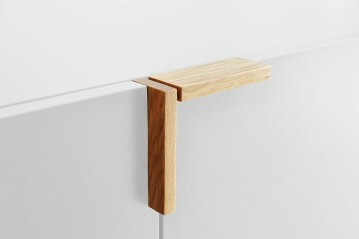 Elegant and versatile design. Available in four colors: black, blue, grey and white. 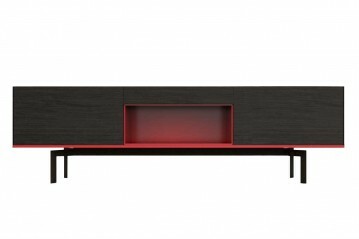 Sideboard in matte lacquered wood with oak details. 4 doors. 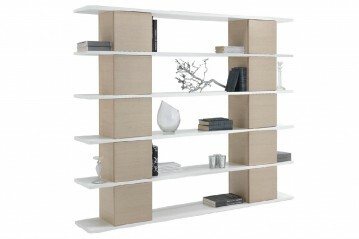 Elegant and versatile design. 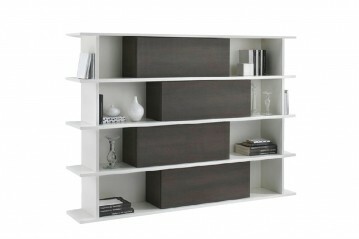 Available in four colors: black, blue, grey and white. 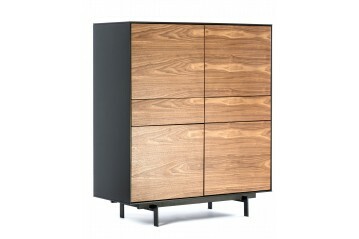 Storage furniture featuring distinctive trait, for its graphite finishing and red details. 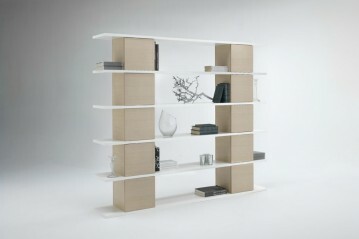 The frame is made of wood oak veneer. 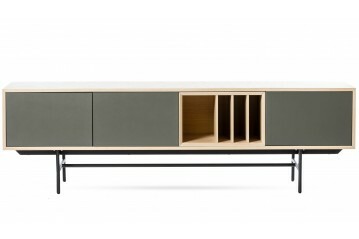 Storage furniture featuring iconic numbers and versatile usage, as TV cabinet or sideboard. 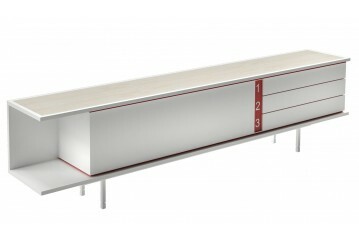 Made of slatted wood in white, red details and natural wood top. 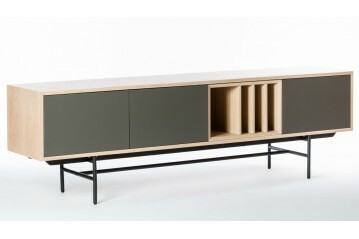 Storage furniture featuring iconic numbers and versatile usage, as TV cabinet or sideboard. 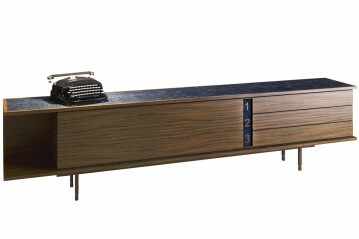 Made of wood walnut veneer and jeans fabric covering. 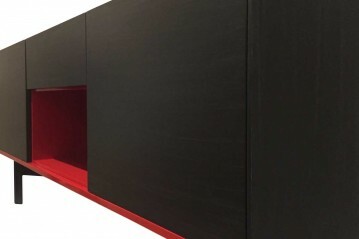 Spline is composed of parallelepiped-shaped modules called “meshes”, connected to each other to compose a continuous bookcase of the desired length and height. 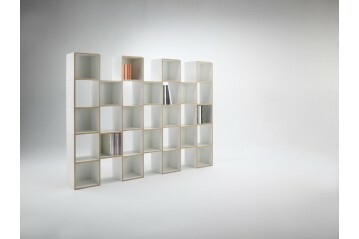 Modular bookcase composed by modular cubes. 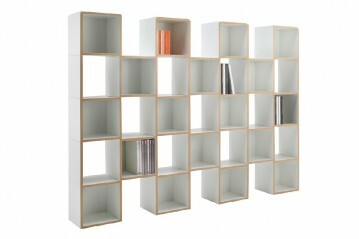 Available in 18 or 13 modules. 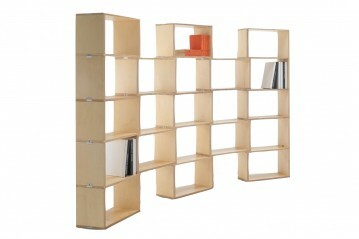 Modular bookcase made of wood and composed of 4 shelves, 4 storage modules. 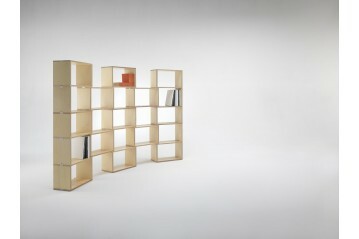 Modular bookcase composed of 5 shelves, 10 storage modules organized in two columns. 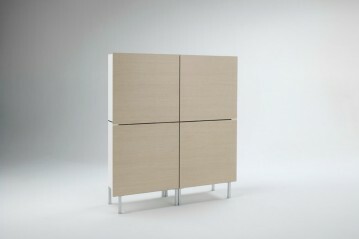 Cabinet composed of four large boxes in white wood and doors in natural oak, joined together by simple elements. 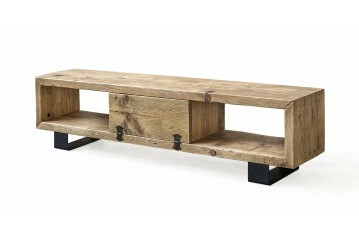 TV cabinet made of recycled wood. 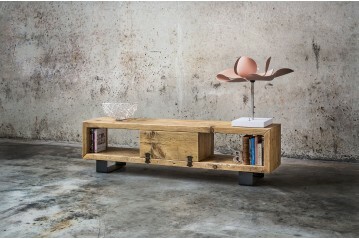 Functional furniture with a touch of flair and an intimate atmosphere. 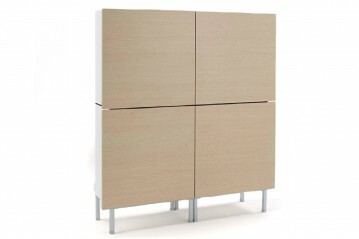 Cabinet in MDF wood mat painted, 4 doors. 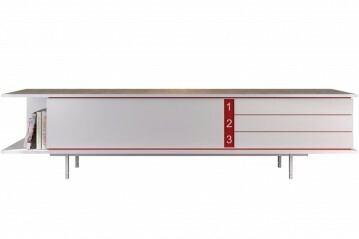 Essential lines for a design of oriental taste. 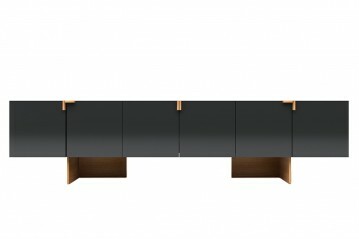 Sideboard in MDF wood mat painted. 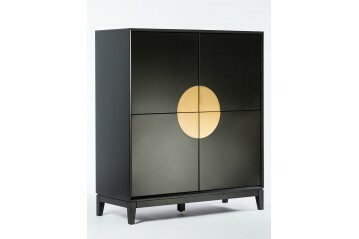 Essential lines for a design of oriental taste. 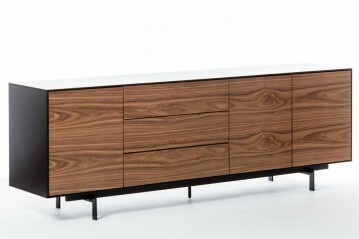 Sideboard in MDF wood walnut veneer and matte painted, 3 doors and 3 drawers. 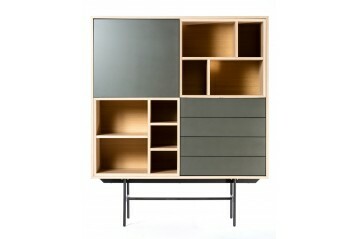 Essential lines for a classical design reinterpreted in a contemporary way. 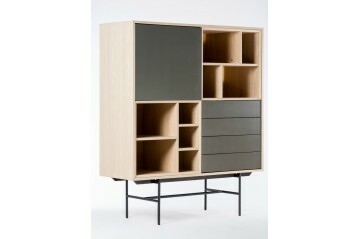 Cabinet in MDF oak wood with 1 door and 4 drawers. 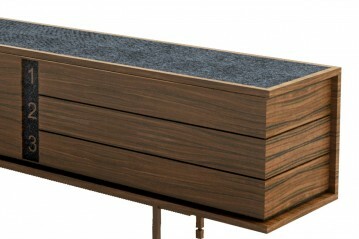 Essential lines for a classical design reinterpreted in a contemporary way. 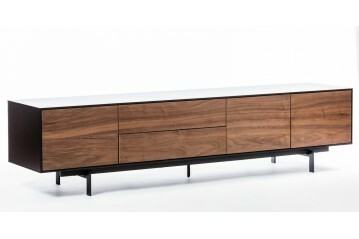 TV Cabinet in MDF wood walnut veneer and matte painted, 3 doors and 2 drawers. 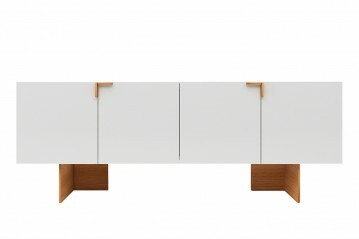 Essential lines for a classical design reinterpreted in a contemporary way. 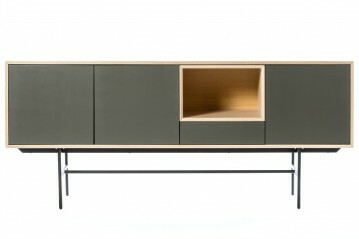 Sideboard in MDF oak wood, 3 doors and 1 drawer. 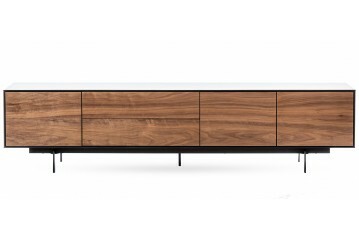 Essential lines for a classical design reinterpreted in a contemporary way. 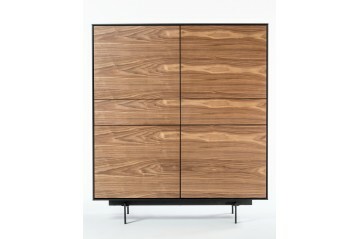 Cabinet in MDF wood walnut veneer and matte painted, with 4 doors and 2 drawers. 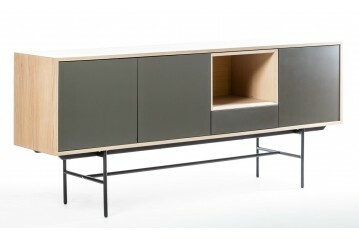 Essential lines for a classical design reinterpreted in a contemporary way. 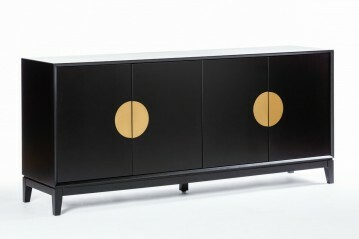 TV Cabinet in MDF oak wood matte painted with 3 doors. 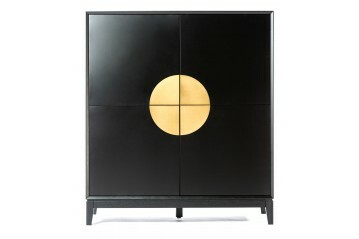 Essential lines for a classical design reinterpreted in a contemporary way.